Experience happiness in a cup at Elait! Mabuhay Miles Our Partners Showcard Experience happiness in a cup at Elait! 1. 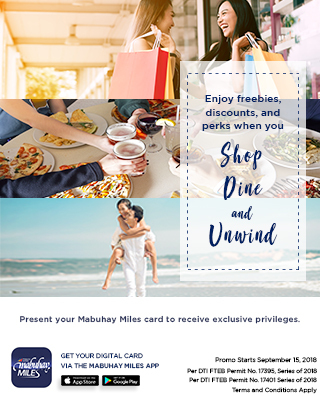 Customers must present their Mabuhay Miles membership card (Physical or Digital Version, Mabuhay Miles Travel Card, PNB Mabuhay Miles Credit Card), together with a valid ID to avail of the 10% discount at participating Elait! branches. 3. Discount can be availed from September 15, 2018 to March 14, 2019 only.